Well OK, Ricardio! 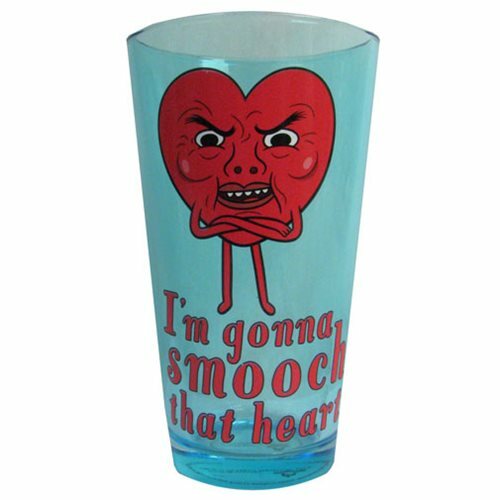 The heart guy stars in the artwork on this one-of-a-kind 16-ounce Adventure Time Ricardio I'm Gonna Smooch That Heart Pint Glass that bears his image and the phrase "I'm gonna smooch that heart." Hand wash only. Not dishwasher safe. Do not microwave. Ages 13 and up.